HTC was founded in 1997 by Cher Wang, HT Cho, and Peter Chou. Initially a manufacturer of notebook computers, HTC began designing some of the world's first touch and wireless hand-held devices in 1998. The company has a rich heritage of many "firsts", including creating the first Microsoft-powered smartphone (2002) and the first Microsoft 3G phone (2005). Their first major product was made in 2000 and was one of the world's first touch screen smartphones. The HTC Dream (also marketed as the T-Mobile G1). It was first released in the United States for pre-order through T-Mobile USA on September 23, 2008, and became available in U.S. T-Mobile stores on October 22, 2008. The G1 was available in the UK several days after its USA launch, and has since been introduced in many countries including Australia and Singapore. 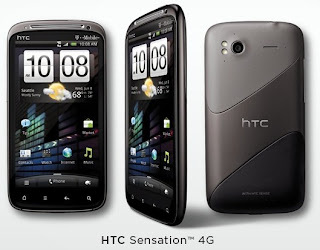 In 2009, the company launched the HTC Sense interface for the platform with the HTC Hero. In March 2010, Apple Inc. filed a complaint with the US International Trade Commission claiming infringement of 20 of its patents covering aspects of the iPhone user interface and hardware. HTC disagreed with Apple's actions and reiterated its commitment to creating innovative smartphones. HTC also filed a complaint against Apple for infringing on five of its patients an d sought to ban Apple products imported into the US from manufacturing facilities in Asia. Apple expanded its original complaint by adding two more patents. In June 2010, the company launched the HTC Evo 4G, the first 4G-capable phone in the United States. In July 2010, HTC announced it would begin selling smartphones in China under its own brand name in a partnership with China Mobile. 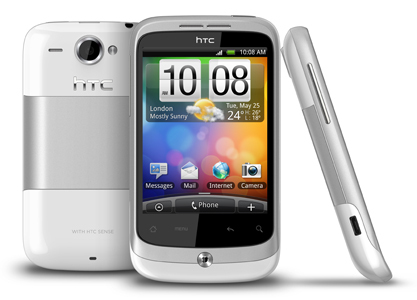 In 2010, HTC sold over 24.6 million handsets, up 111% over 2009. HTC was named the "Device Manufacturer of the Year" for 2011 by the GSMA at the Mobile World Congress on 16 February 2011. In April 2011, the company's market value surpassed that of Nokia to become the third largest smartphone maker in the world, behind only Apple and Samsung. On July 6, 2011 it was announced that HTC would buy VIA Technologies' stake in S3 Graphics, thus becoming the majority owner of S3. On August 6 2011, HTC acquired Dashwire for $18.5M. In August 2011, HTC confirmed that HTC will be entering a strategic partnership with Beats Electronics by acquiring 51 percent of Beat's shares. In the 2011 Best Global Brands rankings released by Interbrand, HTC was listed at #98 and valued at $3.6 billion.